Sad news from Stephen Gandy's CameraQuest website via The Online Photographer that Voigtlander - or, at least, the company Cosina formed to continue the name of the famous German marque - has decided to call it a day. The company has announced that it's ceasing production of its line of film cameras and a variety of related accessories. As Mike Johnston at TOP says, "The move leaves Leica as the sole surviving manufacturer of film rangefinder cameras." I suppose it's fitting that the company that started the 35mm camera movement should be the one to carry the torch - but for how long, who can say? Cosina produced several fine cameras and lenses under the Voigtlander name such as its range of Leica screw and bayonet mount bodies that gave the rangefinder market a significant blood transfusion, helping to forge a love of rangefinders amongst enthusiasts that has almost become a movement. 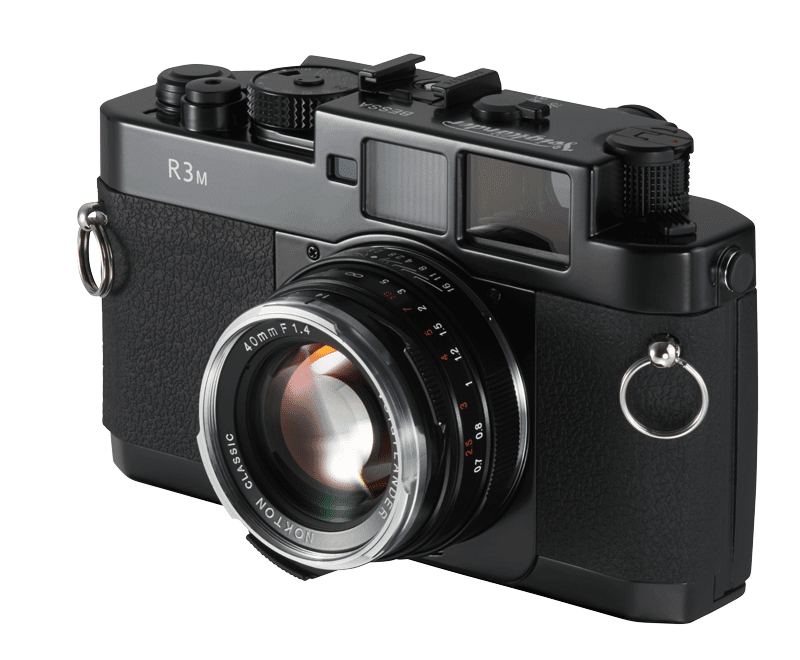 What would the Rangefinder Forum be without the participation of people who, for whatever reason, didn't have a Leica but who bought into the spirit of rangefinders with, for example, a Voigtlander R3M? The company was the only camera maker ever to have all four major 35mm rangefinder mounts - Leica screw and bayonet and Nikon and Contax rangefinder - in production at the same time. Cosina also produced some superb Voigtlander lenses at prices just a fraction of those bearing the Leica name. I'm not sure if any of them actually bettered the performance of the German competition but they came so close in many cases that, to all intents and purposes, the differences were irrelevant. Unless, that is, you're a Leicaphile. For 99.9% of the rangefinder totting public, a Voigtlander and lens produced results more or less indistinguishable from Leica's best but, crucially, were within their financial grasp. Mr Gandy revealed on the Rangefinder Forum that Voigtlander cameras are being discontinued due to declining sales. He believes the popularity of mirrorless, rangefinder-like digital cameras are to blame for the situation. 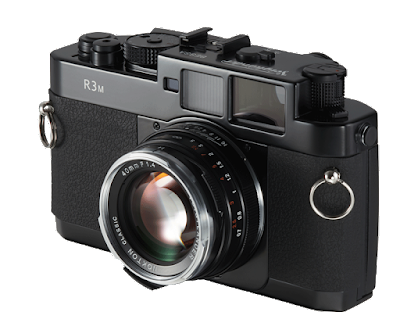 Mr Gandy added, "The last R3Ms and R4Ms have yet to be produced - Voigtlander will probably fill all existing orders by the end of 2015. Many dealers still have new Voigtlander 35mm Bessa stock on hand - get them while you can! "For those unaware of it, the R4A / R4M cameras are truly unique wideangle rangefinders, with built in framelines for 21mm lenses! Even Leica never did that. Likewise the R3A / R3M cameras have lifesize 1:1 viewfinders. Again, Leica never did that." However, Leica is, against all the odds, still producing rangefinder film cameras and no one else has managed to do that. My M2 came with a 50/2 Summicron (rigid I think) but I never liked the bokeh on it in b&w so I got a Voigtlander 50/1.5 Nokton and I couldn't be happier. The Summicron is nice for colour and that's the only time I consider using it. But wait a minute - what about the 'Analog (sic) Renaissance'? Surely the company that has just taken over Harman haven't got it that wrong . . have they? Must be very hard to enter a market where for a tiny bit more you can buy a SH Leica that will virtually run forever with some TLC every now and then. Good news for whoever makes up the prices at Leica. Very sad news.My first rangefinder camera was a Bessa R purchased in 2000 from the money saved from giving up the fags. I no longer have the Bessa but have the excellent 15mm,35mm pancake and 90mm lens. All L39 lenses so I can use them seamlessly on my IIIf and M5 . I would like to add other voigtlander lenses before they increase in price with becoming collectible lenses. Which I am sure they will, with the lenses being individually named rather than being known just by specifications. Who wouldn't want a Heliar,Ultron,Skopar,Nokton,Apo Lanther lens in their collection. I doubt the company that has just taken over Harman has got it wrong, what was 'wrong' is that you can buy a second hand M Leica body for the same , or little more, than a new Voigtlander body. Given the almost perpetual guarantee that a Leica will be serviceable well into anybody's future the game was won when the the Leica M3 was introduced in 1953. Most clockwork cameras will be serviceable for eternity, as long as parts are available. Even then, most clockwork parts can be re-made for anyone with bottomless pockets. (3D printing might help, but that's d*****l technology.) If a particular material becomes unavailable, that will present a problem, so you probably won't be able to replace your special edition rhino-horn shutter release. It really depends on there being enough broken and worn-out cameras in enough nostalgic hands to allow someone to make a living from servicing them. I excitedly bought an RM3 when they came out. The clear bright viewfinder was nice. But it was noisy, clunky and nothing special in the workmanship department. Within a few weeks the RF vertical alignment was already going off. And that was with minimal careful use. For the price it was a no-brainer to sell it and instead buy used "user-grade" M2/M3 from reliable sources with full CLA's (Youxin Ye for example). Never looked back. Hardly can compare the two. I do have an early Cosina 107-SW which was later the Bessa L, and my 15mm VC lens with viewfinder lives on that. I like the meter but again the camera is nothing quiet by any means. I also have bought about 4-5 of the VC lenses. Sold them all off except the 75/2.5 Color-Heliar, 15mm Super-wide both in M and LTM mounts, and a 28/3.5 Skopar I use on my Contax IIIa. The others all too modern and clinical looking in their rendition for my tastes. Sharp? Yes. Nothing special or unique in character so again in my mind a bit over-priced. But I know this is all just me and my very subjective opinion. All that said I certainly never wished to see the whole line discontinued. It was good to have them around and to pick and choose amongst at least some of the lens line-up that was to my liking. I very much doubt VC cameras had any impact on new Leica prices in ANY way. Hi.. I believe the quote about Leica being the "only" company manufacturing film cameras today is incorrect. Fuji still makes the GF670 rangefinder.. I believe. And dont forget the Bessa III 667 was just the Fuji GF670 anyway.... Voightlander just re-branded it... Fuji made it. Hi - you're correct, though Voigtlander are effectively no more aren't they, and I think the majority of the potential market for the GF670 was probably taken up by people buying all the old Fuji GW 6x7's and Pentaxs' . . et al . . that were hanging around unloved! According to their website they are still making three Bessa models and a fair number of lenses in M-mount and Cannon/Nikon mounts - including their super-wides and ultra-fast ones. The did discontinue about 40 other lenses, but they're still very much in business. Hi Martin. I wonder if Stephen Gandy's comment in the third last paragraph explains the situation? They might still be producing to fulfil outstanding orders.